MARINET “Standardisation and best practice workpackage” - First leg of the “Round Robin” testing programme conducted at IFREMER wave/current circulation tank. A comparative “Round Robin” testing programme has been set as part of the “Standardisation and best practice” workpackage of MaRINET. Similar tests should be conducted in four facilities of the consortium at INSEAN (Roma), Strathclyde University (Glasgow), Edinburgh University and Ifremer (Boulogne sur mer). 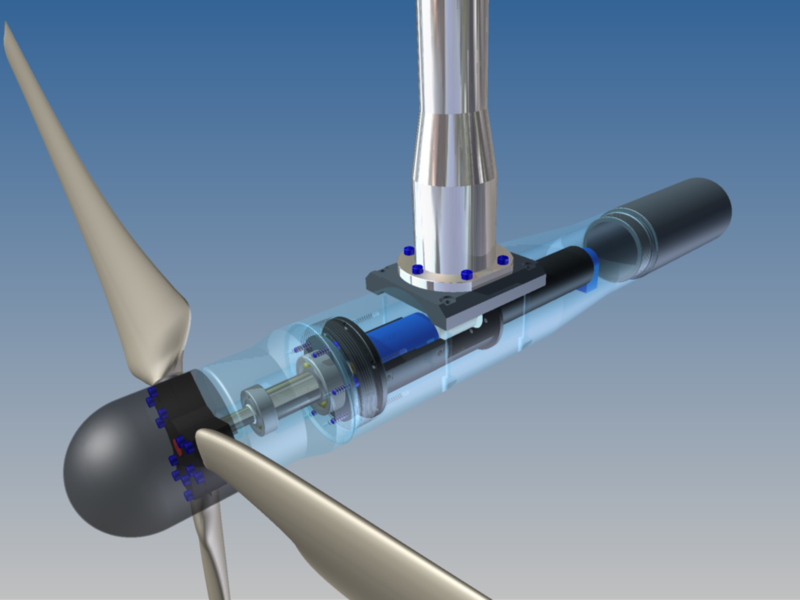 The model used for this comparison is a three blades horizontal-axis turbine designed by Ifremer. This same model will be used in each facility. Comparison will be based on results of the performance assessment of the device characterized by torque and drag measurements. 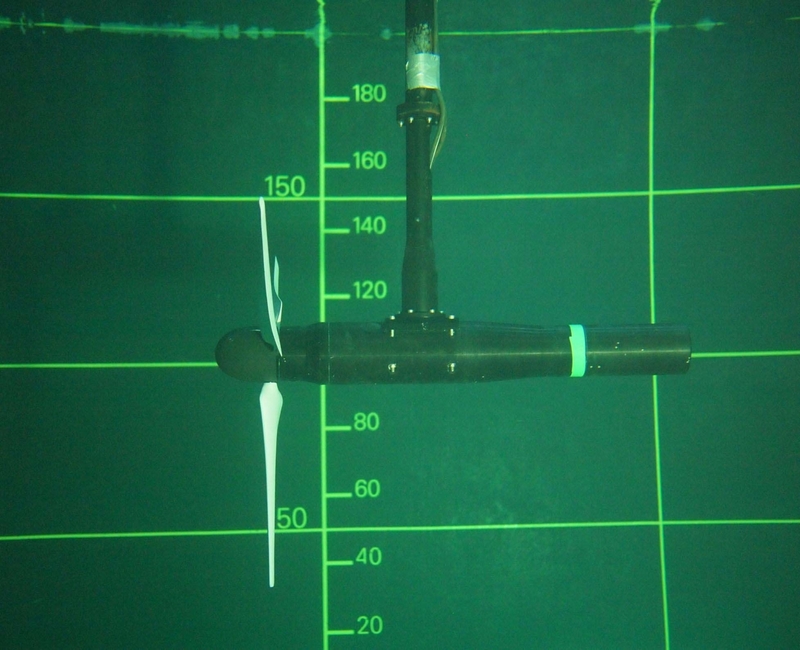 First step of the “Round Robin” took place in the IFREMER's wave/current circulation tank in June 2013. The testing protocol defined during this first leg of the Round Robin will be reproduced in the three other facilities. The same instrumentation will be used with the support of Ifremer staff so as to guaranty the repetitiveness of the measurement process.